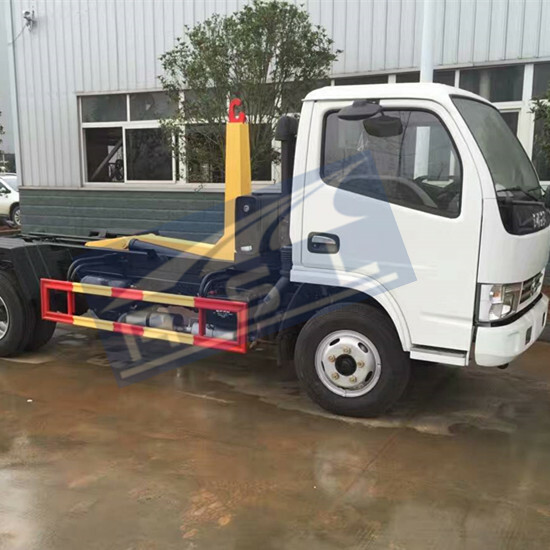 1: The truck is equipped with two hydraulic lifting control forms: manual and pneumatic control valve operating form. According to your specific manipulation of vehicle purchase form, please see the following relevant parts are introduced. 2: Special remind: if use method and transmission, have the power switch and unsymmetrical switch two, unsymmetry to switch first and then hang 2-4 file any gear, determine has unsymmetry, to apply force to switch again, closing should clutch at natural position first, and then in turn off the power switch and unsymmetry switch. Note: some chassis (hongyan, steyr, etc.) in the driving room have included take force unsymmetry combined switch, so the chassis to take order, first turn on the switch, gear, reverse order for natural position, break switch. The following description is given priority to with ordinary gearboxes, without having to draw gear. 3: valve operating in the form of a hydraulic system working principle and operating procedure. Manual forms of rotary valve control hydraulic system working principle of the principle diagram of the (note: our factory part of the vehicle driving indoor equipped with soft shaft manipulator, indirectly through flexible shaft control manual rotary valve, working principle and operating procedure is the same as the direct control of rotary valve manually.) 4: Manual rotary valve operating procedure in the form of control. Start the engine, when the air storage tank pressure reached more than 700 kpa, the engine is in idle state, the clutch pedal, will take the power switch, then slowly lift the clutch pedal, gear pump to pump oil; Push the control valve handle to lifting position, trunk can slowly lifting; Step down the accelerator pedal, can accelerate the trunk lifting. 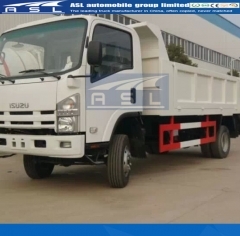 But when the engine speed to 2300-2400 r/min pump when the rated speed, is suitable for the LHD 25Tons Shacman High Bed Tippers engine tachometer), not to step on the gas, especially when the trunk to lift to maximum Angle, are not allowed to tread the accelerator pedal. In the trunk in the lifting and landing process should be stopped, the clutch pedal can (control valve handle at this time should be in the lifting position). Stop switch should be in the back for a long time makes the pump stop working. Trunk to landing after lifting, push the rotary valve handle manually by lifting position to landing location, at the same time on the clutch pedal and will switch to cut off. Landing speed can be adjusted by control valve opening. Vehicle traffic control valve handle must stop or landing position, in the power switch is in a state of cutting, trunk must be landing in place, or do not allow the vehicle! Moving along the dump truck is strictly forbidden for lifting, landing operation! Otherwise the resulting consequences shall be the responsibility of the user! Starting the engine, when the air storage tank pressure reaches more than 700 kpa, the engine is in idle state, the clutch pedal, the manual valve handle in the lifting position, then slowly lift the clutch pedal, gear pump began to pump oil, trunk slowly lifting; Step down the accelerator pedal, can accelerate the trunk lifting. But when the engine speed to 2300-2400 r/min pump when the rated speed, is suitable for the vehicle engine tachometer), not to step on the gas, especially when the trunk to lift to maximum Angle, are not allowed to tread the accelerator pedal. In the trunk lifting process should be stopped, the clutch pedal can (manual valve handle at this time should be in the lifting position). Long time stop manual valve handle should be put in the median. Trunk to landing after lifting, first step down the clutch pedal and then push the manual valve handle position by lifting to landing position, and then release the clutch pedal. Before manual valve lever must be in the vehicle or landing position, take to cut off the power, trunk must be landing in place, or do not allow the vehicle! Starting the engine, when the air storage tank pressure reaches more than 700 kpa, the engine is in idle state, the clutch pedal, will take the power switch, then slowly lift the clutch pedal, gear pump began to pump oil, the manual valve handle in the lifting position, then slowly lift the clutch pedal, gear pump began to pump oil, trunk slowly lifting; Step down the accelerator pedal, can accelerate the trunk lifting. 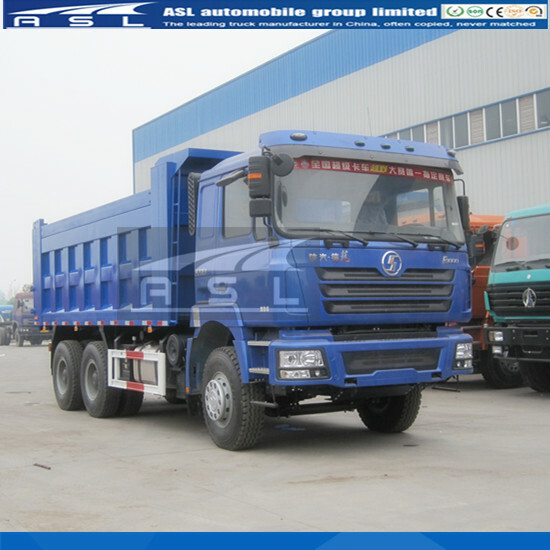 But when the engine speed to 2300-2400 r/min pump when the rated speed, is suitable for the 10wheels Shacman F2000 Dumping Trucks engine tachometer), not to step on the gas, especially when the trunk to lift to maximum Angle, are not allowed to tread the accelerator pedal. In the trunk lifting process should be stopped, the clutch pedal or manual valve handle plate to stop position, long time to stop in the manual valve should be handle in the median. Trunk to landing after lifting, first step down the clutch pedal and then push the manual valve handle position by lifting to landing the position. Then turn off the power switch. Starting the engine, when the air storage tank pressure reaches more than 700 kpa, the engine is in idle state, the clutch pedal, will take the power switch, then slowly lift the clutch pedal, gear pump began to pump oil, the manual valve handle in the lifting position, then slowly lift the clutch pedal, gear pump began to pump oil, trunk slowly lifting; Step down the accelerator pedal, can accelerate the trunk lifting. But when the engine speed to 2300-2400 r/min pump when the rated speed, is suitable for the vehicle engine tachometer), not to step on the gas, especially when the trunk to lift to maximum Angle, are not allowed to tread the accelerator pedal. In the trunk lifting process should be stopped, the clutch pedal or manual valve handle plate to stop position, in the long position in the manual valve handle should be placed on pause. Advanced Shacman 10wheels Tractor Tipper Trailers traffic control valve handle must stop or landing position, in the power switch is in a state of cutting, trunk must be landing in place, or do not allow the vehicle! 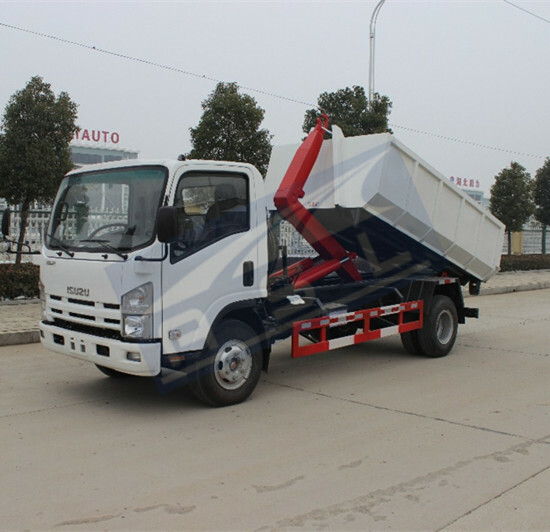 1: The service life of the dump truck, the working reliability and economy, to a large extent depends on the adaptation of the new car, the rational use and maintenance. In terms of the new car's engine, chassis parts maintenance and inspection, please click "chassis operation instruction handbook" and the relevant provisions in the driver's handbook. With the use of the dump function part, please observe the following requirements. (1) check whether the amount of oil in the hydraulic tank and foot. (see level) or the number of shall be stipulated in the hydraulic oil brand add sufficient oil. 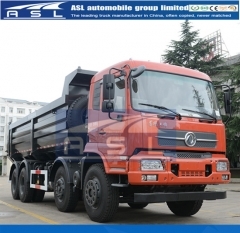 (2) we dump truck hydraulic oil brand for: L - HM32 hydraulic oil. (3) check hydraulic system pipeline, pump, cylinder, valve, and if there is a leakage control gas path. (4) under no-load condition, trunk, lifting, landing test according to operating procedures in the process of trunk lift landing, observe cylinder, pump, valve, take the parts is working correctly, such as power movement part if there is a binding, interference, the phenomenon such as motion and sound. After racing 4, 5 times of lifting, landing operation, not the normal phenomenon, can be treated as dumping mechanism works well. 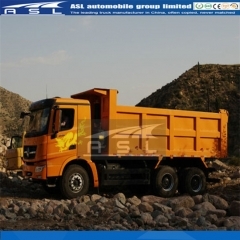 (1) dump truck dumping mechanism period, measured by number of trunk rise, fall, and the agency period for 1000 times. (3) gear pump, the engine speed does not allow more than 2400 r/min (is suitable for the vehicle engine tachometer). (4) trunk after working in the rise and fall 100 times, should be replaced all the hydraulic oil. Filling the hydraulic oil should be in accordance with the provisions, the type and quantity and must be kept clean, without any impurities and moisture, better precipitation 48 hours before filling, filling to strict filtering. (5) the running-in period, often should pay attention to whether there is leakage phenomenon, tipping mechanism hydraulic system should be ruled out in time, if any, at the same time check the hydraulic oil tank liquid level height. (6) running-in period, often should pay attention to take power, gear pump working condition: mesh, separation is complete; Have the same ring; The temperature is normal, abnormal situation should be timely find the reasons and ruled out. (7) often pay attention to the work and the fastening components of lifting mechanism of hydraulic cylinder, and in case of lifting slowly, binding, interference, kick, sound and fasteners loose, should be timely find the reasons and ruled out. loading, should try to make the goods into the nearest trunk hooks. trunk goods should be in uniform loading, should avoid serious overloading, partial load. attention! Under no circumstances shall not exceed 20% of the rated load quality overload. to make the pump work and stop work, should be first on the clutch pedal, so as not to damage the power gear. vehicle needs to be checked before: trunk has touched down in place; Gear pump has stopped work; Take the power switch or manual valve handle position should be landing in trunk. trunk when lifting, engine speed should not exceed 2400 r/min (is suitable for the vehicle engine tachometer), especially in the demotion Angle of 40 ° above should reduce the engine speed, so as not to impact on the frame, trunk. It is forbidden to impact the unloading. should regularly check box board after open work situation, and adjust to about 6 ° ~ 7 ° trunk flip open. 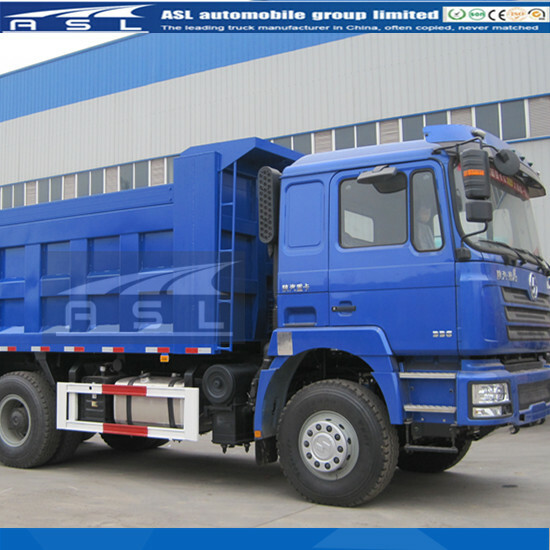 should avoid dump truck unloading on the slope or uneven road, lest produce vehicle rollover accidents or damage of lifting parts. trunk when lifting operation, it is strictly prohibited under the trunk stood. in the maintenance of hydraulic system, hydraulic oil filling or lifted trunk for repair, must use the safety bracket, safety stent should be inserted into the chassis of trunk beams and KaoShi on a support. The use of safe, must unload the car parked in the flat in the total load in the cabinet, stop the engine work, hang low gears and taut hand brake, turn off the power switch or the manual valve handle put in lifting position or stop position, after confirm the trunk fixed reliable, can work under the trunk. trunk when lifting, should check whether there is around obstacles such as. the electrical wiring, building; Box board is open on time and touch the ground after dangerous; If so, should be timely termination of the operation.  timely repair, repair welding trunk damage, eliminate hydraulic system fault it is forbidden to dump truck with "disease".not less than two times a week to check the oil cylinder, pull arm, amplification, double axles, u-bolt, connecting plate and other parts of fastening and lubrication condition, timely fastening and lubrication in accordance with the regulations. 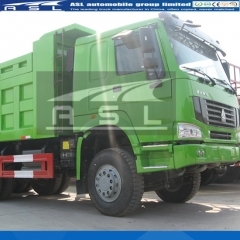 1: Implement technical maintenance regularly, can avoid premature wear of moving parts, also can reduce the fault in the process of using frequency, or avoid some potential accidents, therefore to improve the efficiency and service life of the dump truck, adhere to the regular maintenance is a link cannot be ignored. in combination with new car engines, projects as stipulated in the period. 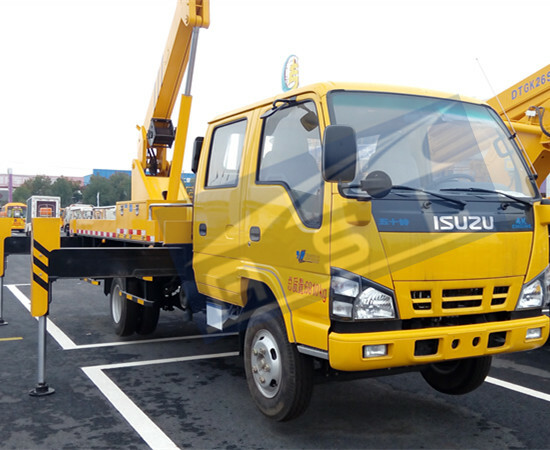 note and check the hydraulic cylinder, up and down link mechanism and other connections between components and fastening is reliable; Observe all the moving parts and their corresponding fixed thing that whether there are abnormal deformation or damage. unscrewed the hydraulic oil tank at the bottom of the drain plug and into the bottom of the hydraulic cylinder tubing joints, when the oil is put, remove dirt, accumulated near the oil outlet and replace hydraulic oil. (5) level of technical service project: check trunk, pay for the frame, the spare tire rack etc in good condition, special attention should be paid to check if there is a open the phenomenon such as cracking, the welding seam. (6) check gear pump, the power device, hydraulic cylinder and other moving parts work or wear condition, and maintenance, repair or replacement parts. (7) technical maintenance: when tipping movements to reach 20000 times or so, should be level 3 technical maintenance. Contents are as follows: secondary technical service specified in the project. 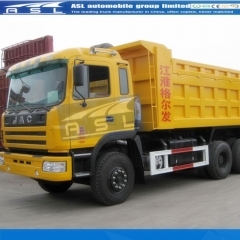 (8) overhauling the hydraulic cylinder, and power control valve and other parts of the moving parts, check the wear and damage state of wearing parts on Dumping Trucks, and replacement of some damaged components. (9) hydraulic oil tank cleaning, replacement of hydraulic oil. (11) in the technical maintenance or repairs due to temporary fault, in the process of overhauling components, the number of wearing parts specifications shall be as specified in the schedule of parts for inspection of parts damaged, replace if necessary. 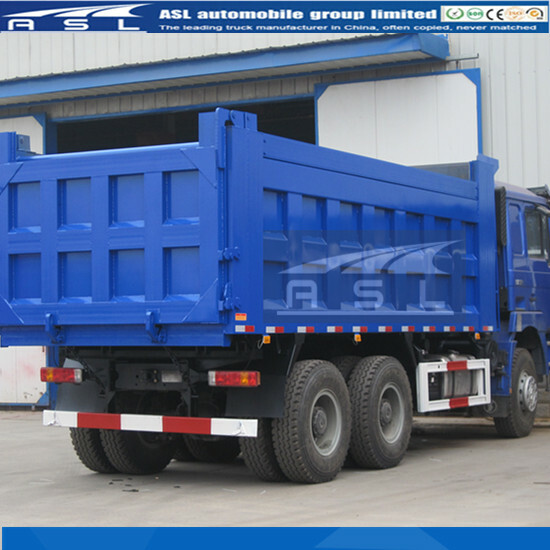 (12) in order to carry out normal users can better technical maintenance and repair work, to provide users with every new factory of dump truck of the corresponding parts specifications, in order to use when purchasing. 1: modified car accessory tools a chassis. 2: manual book of a modified chassis car drivers. 3: dump truck operation instruction book one. 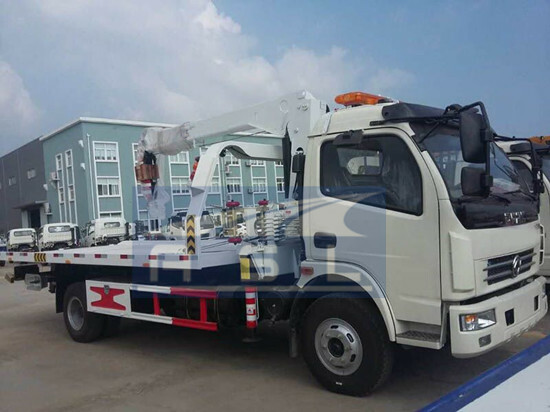 1: dump truck in the process of railway transport (or water), to be lifting, hoisting tools must be used, in order to avoid damage to the product. 2: in transportation should be fixed and reliable, to prevent accidents. 3: dump truck stopped for a long time, in the custody of reference to the relevant requirements of converted jiefang chassis motorists. 1: Users can check everything can check for delivery car parts and instrument, can start the engine trunk lifting and landing test, but shall not remove the parts. 2: On the user's technical documents comply with its legal requirements under the premise of the car from the date of shipment, and mileage in half year no more than 30000 km, automobile and parts (except the wearing parts and replaced periodically) damage due to poor quality or not work properly, and use the record, the factory is responsible for warranty service. 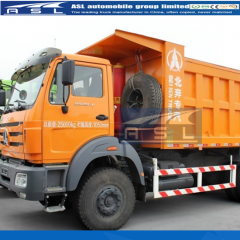 3: Chassis and engine parts on Heavy Duty Shcman F3000 Tipper Trucks warranty service shall be the responsibility of the chassis manufacturers around the service station, and implement the relevant provisions of the corresponding.